Cisco has unveiled its response to the growing trend of software-defined networking (SDN), in the shape of its Application Centric Infrastructure (ACI). ACI was developed by a company called Insieme Networks, a startup created and financed by Cisco to the tune of $135m with the aim of getting the networking giant involved in the SDN market. As part of the announcement Cisco revealed it will be buying the remaining interest in Insieme and bringing it totally in-house. Final financial figures were not released, but Cisco said the total it will pay will not exceed $863m, based on revenue generated from selling Insieme products. ACI is made up of new hardware in the Nexus 9000 portfolio and software in the shape of an updated NX-OS operating system, along with the Application Policy Infrastructure Controller (APIC), which Cisco says is the centralised point for managing, monitoring and programming the ACI. 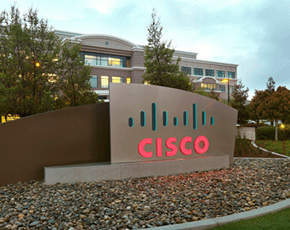 It aims to unify the management of physical and virtual infrastructure, Cisco said. The new switches include the Nexus 9508 switch, which Cisco said is designed for high-performance 10/40 Gigabit Ethernet (GbE) aggregation layer deployments. At the lower end are the Nexus 9396PX switch, a 960G switch with 48 fixed 10GbE SFP+ ports and 12 40Gbps QSFP+ ports; and the Nexus 93128TX, a 1.28T switch with 96 fixed 1/10GBase-T ports and eight 40Gbps QSFP+ ports. Cisco added that it expected to extend the Nexus 9000 family during the first half of next year to include 4-slot and 16-slot systems and additional top-of-rack switches. Cisco claimed ACI can reduce deployment times to minutes due to its centralised management capabilities, while total cost of ownership savings can reach 75% when compared with software-only network virtualisation, as a result of using existing hardware such as cabling and a reduction in cooling and power costs. Ultimately, ACI aims to unite networking, storage, compute, network services, applications and security into a single entity and enable companies to be much more dynamic and responsive when it comes to developing and deploying new applications. Cisco CEO John Chambers said he expects ACI to become a billion-dollar business, and added that it "is going to reduce the time it takes to provision, change or remove applications from months to minutes". "ACI gives every administrator, whether they are focused on networking, security, storage, platforms or network services, the same view and the same single point of management for the whole IT infrastructure," he said. Chambers added on Cisco's blog: "ACI brings all of these resources together to behave as a single, dynamic, responsive entity that helps administrators streamline configuration, accelerate troubleshooting and optimise application performance." While the announcement does not represent a full leap into SDN, it is as close as Cisco is likely to get, according to experts. SDN represents a threat to Cisco, which is the dominant player in enterprise networking. Around 60% of Cisco's revenue comes from switches and routers. Such devices essentially become commodities in an SDN infrastructure because the intelligence within switches and routers is moved to software, which is installed on cheaper hardware, negating the need for businesses to spend heavily on switches and routers. 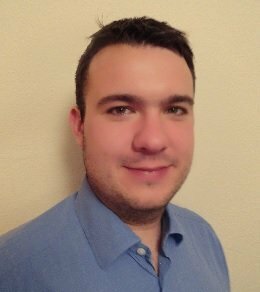 Cisco's approach to SDN is unlikely to satisfy buyers who want to reduce the dependence on proprietary systems, according to David Krozier, principal analyst, network infrastructure at Ovum. "While the 9000 Series switches can operate standalone, the features provided by the APIC controller require Cisco hardware. While this may raise the hackles of those who believe future networks should be based on generic hardware platforms, this approach is unlikely to match the performance capabilities of ACI," he said.